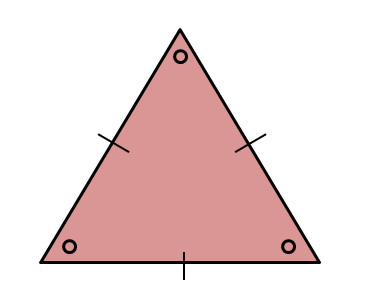 Construct an Equilateral Triangle given the perimeter of the triangle - In this question it will test your knowledge on equilateral triangles and the meaning of the word perimeter. Attempt the question first. For a detailed explanation on the principles of the question and demonstration on how to complete the question follow the link directly below. Construct a Triangle with a given perimeter in the ratio 2:3:4 - In this question it will further develop your knowledge on triangles and the meaning of the word ratio. You should have come across this word in Maths. Attempt the question first. The image on the left is a hint on how to complete the question. For a detailed explanation on the principles of the question and demonstration on how to complete the question follow the link directly below. This is a short section that only contains two question but if you are able to complete these two question than you should be able to manipulate these principles learned to suit any questions posed on perimeter and ratio.